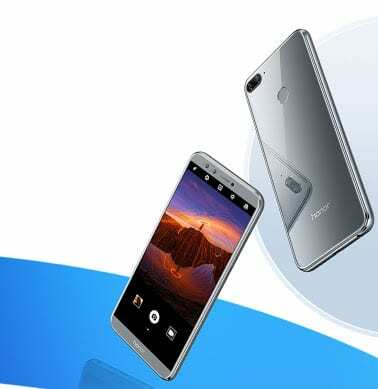 Huawei Honor 9 Lite is another super smartphone to drop off the Huawei platform. Huawei Honor 9 Lite makes it out with a quad camera setup and a premium full view display. This mid-range smartphone also arrives at a good price tag. Announced in December 2017 and also released in the same month, the smartphone packs incredible specifications to get you going. So smartphone lovers, let’s get started. 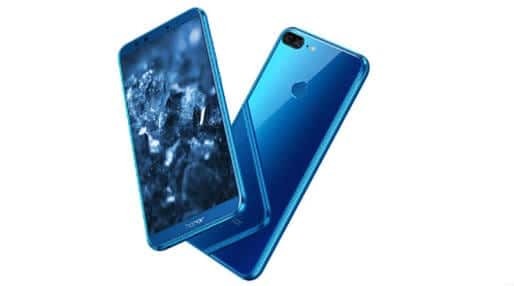 Starting out with its design, it’s only a matter of stating the obvious that Huawei doesn’t joke in anyway whatsoever with smartphone designs in which case Huawei Honor 9 Lite is also a testimony. Furnished all round with metallic body material, the smartphone presents an endearing look. 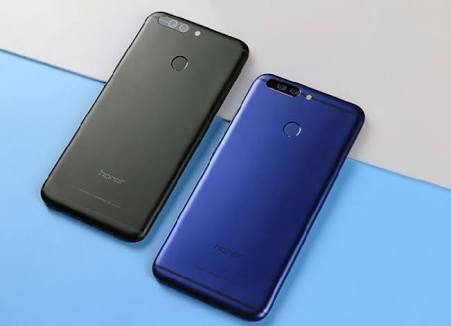 It’s rear finely crafted to give a smooth and shining appearance bears the dual camera and LED flash at the top right corner with the fingerprint sensor not too far away and the honor logo owning the bottom location. The front of the smartphone with the help of the full view display and 2.5D Curved glass has a very classic look. The top bezel occupies the front dual camera, earpiece and the ambient light sensor while the bottom bezel contains only the ‘honor’ logo. Dedicated keys present on the smartphone are located at the right side. Colours wherein this smartphone makes it into the smartphone market are Blue, Black, Grey and White. Huawei Honor 9 Lite weighs 149g and presents a thickness of 7.6mm. Impressive is the 5.65 inches FHD+ IPS LCD display Huawei Honor 9 Lite presents. It’s resolution therefore is 1080 x 2160 pixels with a pixel density of 427 PPI. The smartphone’s protective covering is Corning Gorilla Glass of an unspecified version. Huawei HiSilicon Kirin 659 SoC is the chipset moderating the smartphone’s functions. Octa-core ARM Cortex-A53 that clocks at 2.36GHz is the CPU on it. It is actually a 64-bit CPU and one that utilizes the 14nm process technology. The GPU on this smart device is the ARM Mali-T830 MP2. The freshest Android OS – Android Oreo is the principal operating system here, and it makes its way with the Huawei Emotion UI. As a result of its RAM, there are two variants – 3GB and 4GB. The ROM also has two variants – 32GB and 64GB. The storage can expand to a massive 256GB using a microSD card. The front camera lines up with a dual cam setup of 13MP and 2MP sensors while the rear dual camera setup has 13MP Plus 2MP for bokeh effect. A LED flash situated on its side is present for adding light effects. A non-removable Li-Poly 2,900 mAh battery is the duration marshal of Huawei Honor 9 Lite. Quick Charge technology available on it makes it charge very fast. What is The Current Huawei Honor 9 Lite Price and Availability Status? Huawei Honor 9 Lite has a starting price of $250. You can click on the links below to view the latest Huawei Honor 9 Lite price & availability. AliExpress Ghana | starting from GHc159 See Offers, Click Here!